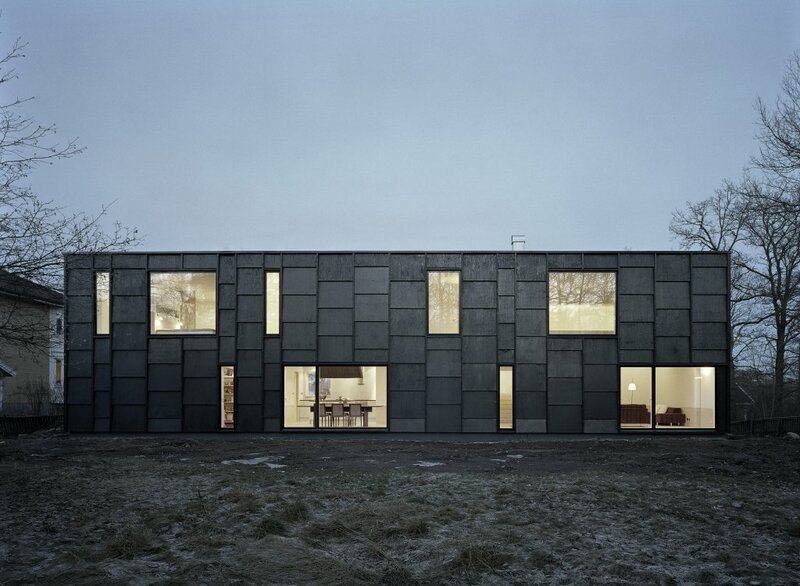 This house in Stocksund is a thin block with cut-outs for light, double-heights and a roof terrace. Using the full width of the property it separates the front yard facing east from the garden in the south-west. 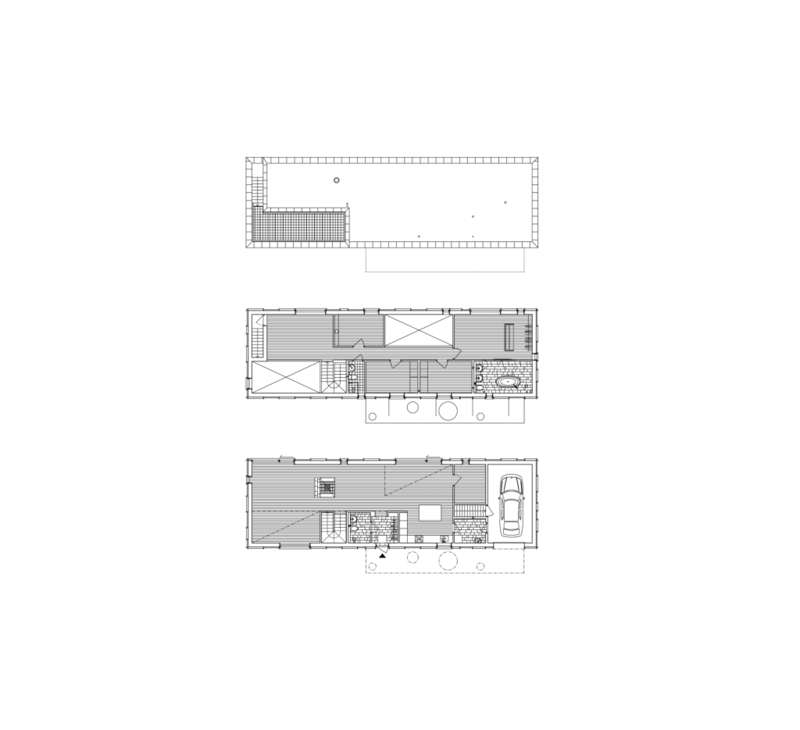 Due to its position on the site, the house is experienced almost exclusively at a frontal angle, it appears to be just a line, a wall with sufficient depth and room for a living space. The shallow block provides spaces that can introduce light from several directions. This is enhanced by the two double-heights that also guide views diagonally through the interior. The plan is simple: entrance and stairs fits into one box on ground level, a central passage on the upper floor gives access to bedrooms. 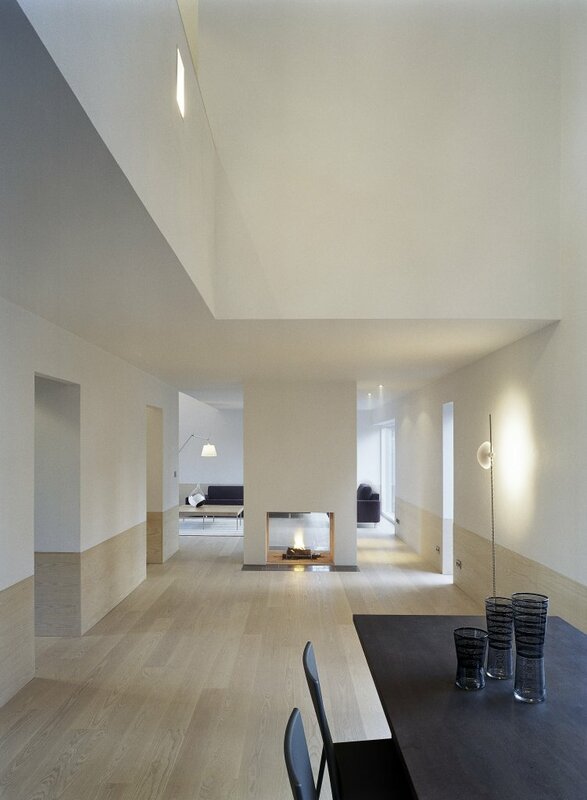 The interior is one continuous space on two levels. 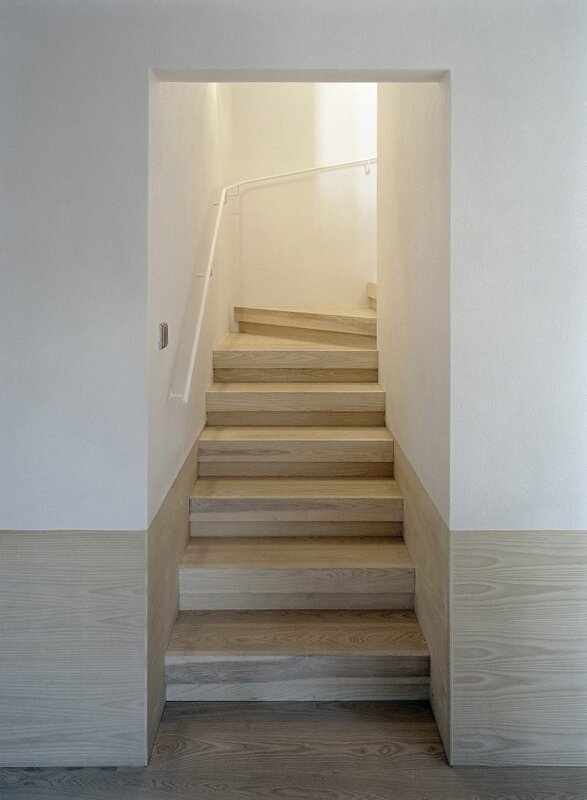 As a result, movement through the house is characterised by visual shortcuts, spaces and activities overlap. 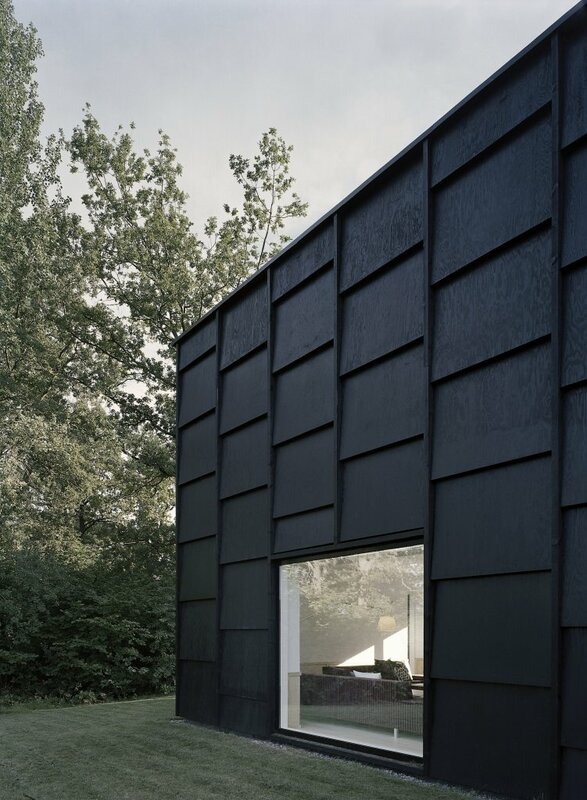 Facades are made of stained black plywood panels of varied widths, mounted in layers on a slowly grown pine framework. 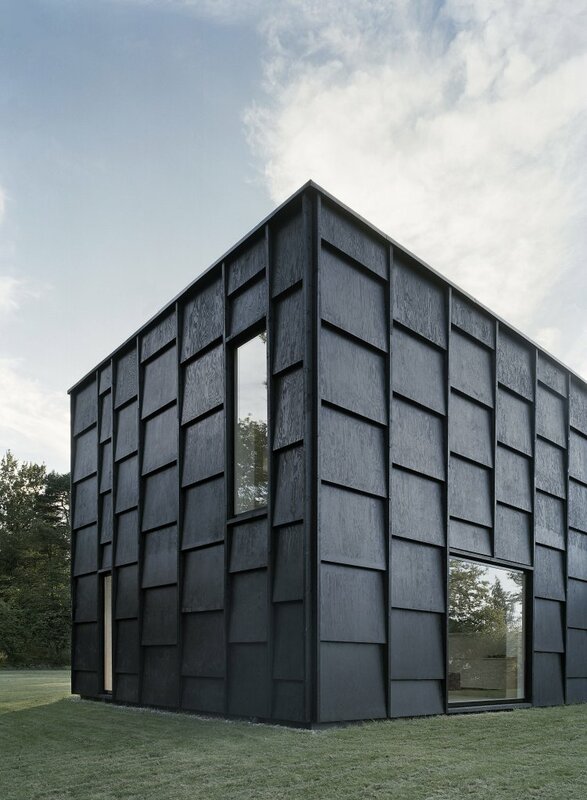 The result is a kind of oversized shingles that relate to the local building tradition that includes several timber and shingle style houses from the national romantic period. 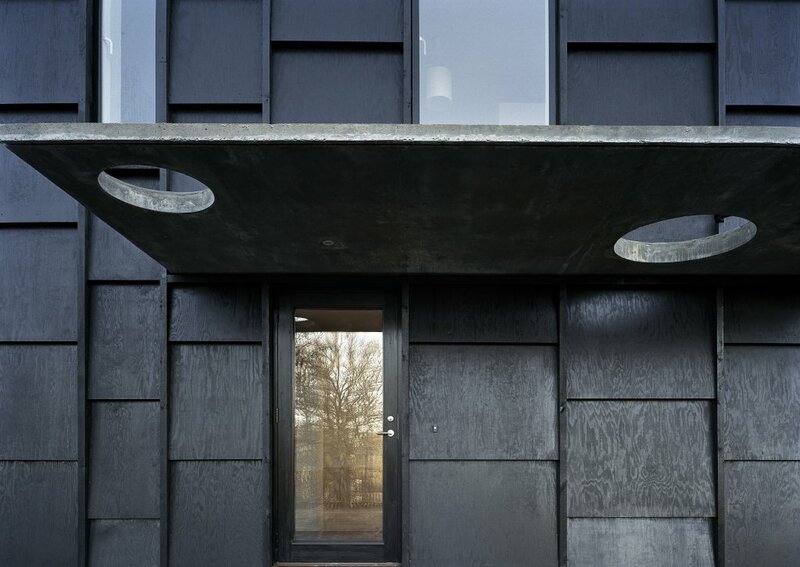 The main structure is made from in situ cast concrete, which is exposed in the cantilevered entrance canopy, only seven centimetres thin. By using a system with the thermal insulation as lost formwork, costs have been reduced to be not more than a standard type house.